Home » Hardware » Hardware – SRH G25 Type S Wheel. Hardware – SRH G25 Type S Wheel. 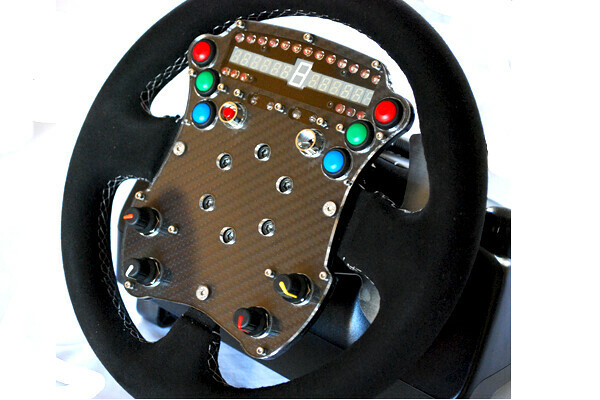 The Type S wheel’s design has been born of a desire to manufacture a high end, simulator quality wheel that has all the functions and build quality of a real race wheel, but at a much more realistic cost. 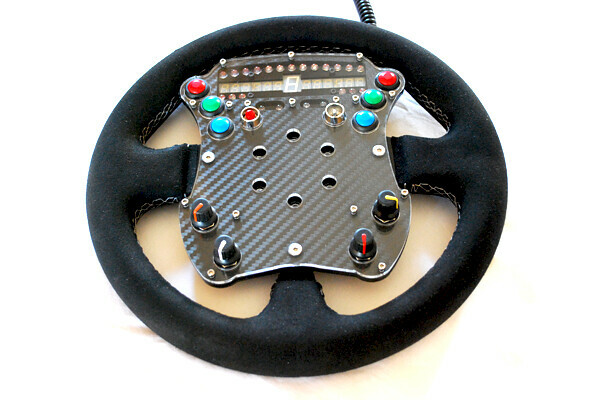 Based on a real, race legal, alloy framed ‘formula’ wheel that is then heavily modified by us to fit the G25 and to accommodate our especially designed plate. 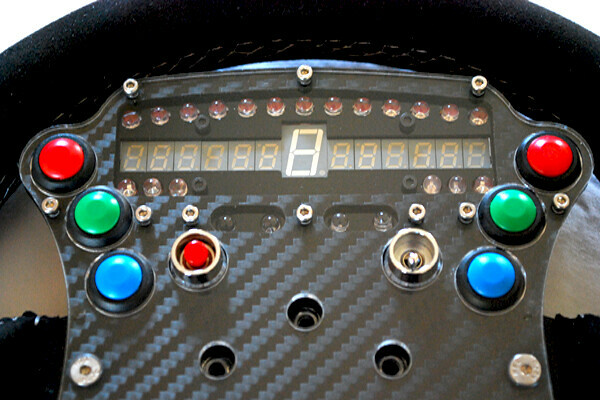 The Type S wheel features the ‘Formula wheel’ itself, an SLI-Pro display, six momentary buttons, plus 2 more shielded buttons/switches at the top of the wheel. Below are four rotary encoders that also have built in momentary buttons, giving a total of 20 inputs (including the encoders) all housed in one of our beautiful wheel plates. 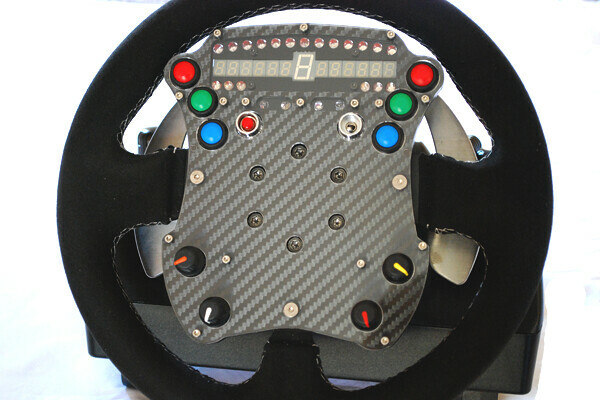 Add to this it is fully built and ready to simply ‘bolt onto’ your G25, this is real plug n play! Each wheel is handmade to the highest standards and as such a degree of flexibility in the design specs means we can customise certain aspects of the wheel to suit a customers preference. With our enviable reputation for product quality, customer service and aftercare, the Type S Wheel offers a great solution to improving both immersion and functionality and take your G25 to the next level!